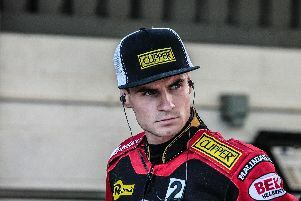 Aussie ace Kurtz has made the winter switch to Somerset but Tigers bosses were keen to welcome him back for their 90th anniversary meeting on Sunday, March 24 (4pm). 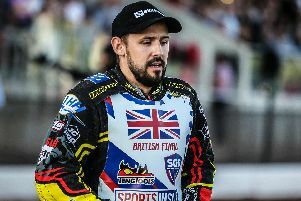 King’s Lynn’s Lewis Kerr and Leicester’s Ryan Douglas have also been added to the field for a meeting which is expected to pull in a bumper crowd. Tigers co-promoter Damien Bates rates the 26-year-old though and reckons he could be a potential dark horse in their celebration fixture. “On his day Todd can beat anybody at Owlerton,” Bates said. “He’s proved that in Sheffield colours over the past two seasons and he always seems to start the season particularly strongly as well. “If he makes the gate he can be hard to catch and even if he misses the start he rarely knows when he’s beaten. “I’ve got a lot of time for Todd; he was such a big part of our league success in 2017 and he was a joy to work with. “Nothing’s ever too much trouble, he’s good with the supporters and he’s a solid speedway rider. “What you see is what you get with Todd and while he’s never been a spectacular heat-leader, what he is is a reliable middle-order rider who I thought did a good job for Sheffield despite spending themajority of his time in the tricky No.2 position. “It will be good to have him back for our opener and he’s not a name people would necessarily pick to get on the podium on paper. “But he’s a very capable rider at Sheffield and he could be an outsider in what should be a fantastic meeting. The meeting will feature all seven of the Tigers’ 2019 side and also includes fans’ favourite Josh Grajczonek who was No.1 when they won the league. Steve Worrall, who joined Newcastle at the weekend, is also included along with talented teenager Kyle Bickley who has signed for Glasgow.